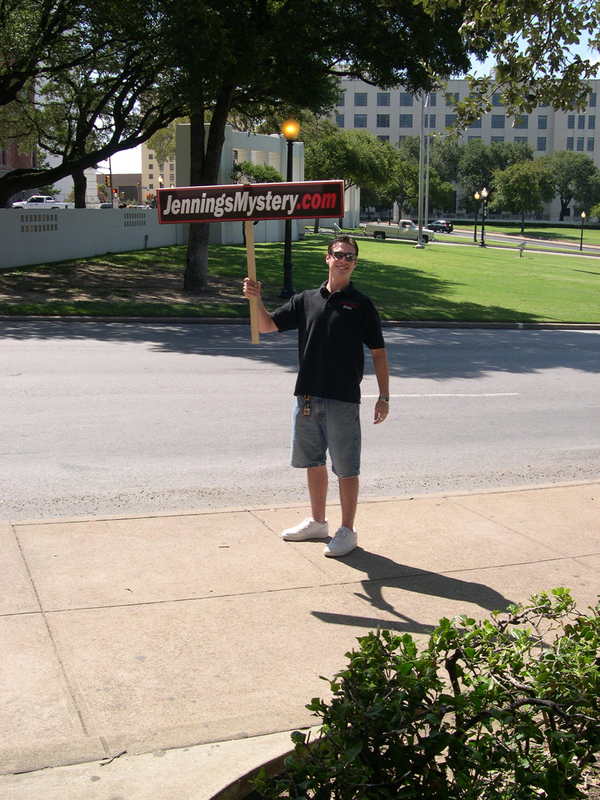 Later in the day we took our signs and remaining DVDs to Dealey Plaza. We shared information with several visitors including a couple of guys from Italy who were familiar with the 911 Truth movement and had seen Loose Change. 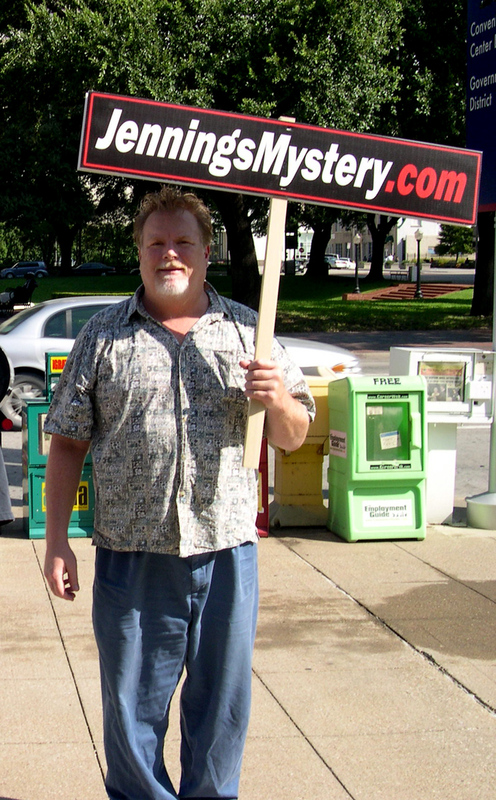 Since no one knew about Barry Jennings, we piqued the curiosity of many people without the knee-jerk responses we sometimes get when carrying 911 Truth signs. I am sure there will be a flood of hits on www.jenningsmystery.com after today's action across the globe. We will never forget you Barry Jennings! If the world knew of Barry Jennings we would be on our way to a new beginning. Joe on Thu, 08/20/2009 - 7:41pm.